We are well versed in the complicated childbirth injury laws and can help you with your case. Securities fraud, business disputes, consumer and pension issues. If your surgery, prescription or treatment has harmed you, we can help. Errors made by doctors can be very destructive. Contact a Illinois Valley Medical Malpractice Lawyer for help. Our attorneys are very experienced in Elder Law, and will help if there has been abuse. If you or a loved one has been abused sexually, you have a remedy. Call us for help. If there's an accident, an experienced car accident lawyer will make sure that you are protected. We can make sure that you are protected and compensated if you are hurt at work. Nothing can truly replace a loved one lost, but compensation can help the family recover. The new firm of Meyers, Flowers, Bruno & Herrmann brings together some of Illinois’ best lawyers to serve the Illinois Valley, namely Peru, Ottawa, Princeton, Putnam County and Lasalle County IL. With decades of experience in civil litigation, these knowledgeable and skilled trial attorneys represent clients in cases ranging from catastrophic personal injuries, medical malpractice, workplace injuries and wrongful death to commercial disputes, securities fraud, and pension issues. In addition, our team of top attorneys have worked successfully for clients who are victims of defective medical devices and products, abuse, and transit accidents including, train derailments, trucking, and car accidents. If you are looking for a top Peru lawyer, we are here for you. Whether you are injured at work, in a car accident, by a defective medical product such as an artificial hip or a knee replacement joint, or are suffering due to defective medications such as Pradaxa and Xarelto, the lawyers at Meyers, Flowers, Bruno & Herrmann are ready to help. Led by Bureau County’s former top prosecutor as well as an Illinois Super Lawyer and former President of the Illinois Trial Lawyers Association, this Peru, Illinois-based law firm in Lasalle County has a simple philosophy: put the client first. The practice is dedicated to obtaining full and just compensation for our clients in the Illinois Valley. We serve Peru, Ottawa, Princeton, Putnam County and Lasalle County IL. Our clients trust us to help them through some of their, and many times their families’, most difficult times of crisis. We value that trust as our team works tirelessly to resolve their issues by advocating for their interests every step of the way from pretrial preparations to settlement discussions and ultimately to the courtroom. We take the time needed to listen to and understand our clients’ many concerns, because personal attention is one of the keys needed to win cases. 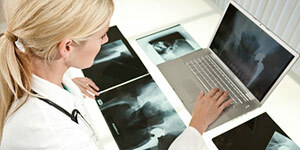 Medical malpractice litigation is a nuanced and specialized legal area. The complex cases are time-consuming and expensive, while also taking an emotional toll on the client. Our team has spent years fighting for clients who have been injured due to improper care by doctors, hospital staff and other medical professionals. Our experienced medical malpractice attorneys know how to achieve justice for our clients. With decades of experience in workplace injury cases, Meyers, Flowers, Bruno & Herrmann understand the intricacies of workers’ compensation law and how to maximize the benefits available for both private and public employees who have been injured on the job. We consider it a special honor to obtain justice for those who serve our communities and work diligently for all of us, from our police and firefighters to paramedics and many public and private employees. Contact our office at (815) 768-2199 or request a Free Case Evaluation online to find out how we can help you.